If you don’t like how it looks and operates, here is a trick that involves a registry tweak to bring back the old Windows 7 style volume control. Create a new key by right-clicking the CurrentVersion key, selecting New, and Key. 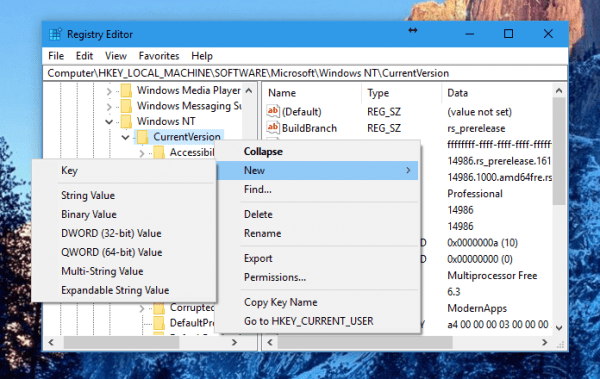 And name the new key MTCUVC. 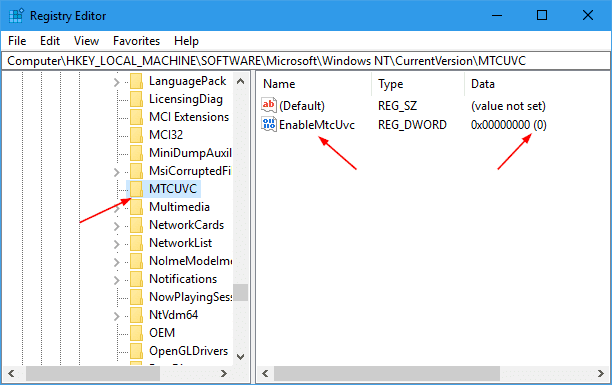 Then on the right side, create a new DWORD (32-bit) value called EnableMtcUvc by right-clicking the empty area, and selecting New and DWORD(32-bit) Value. And leave the value as 0. 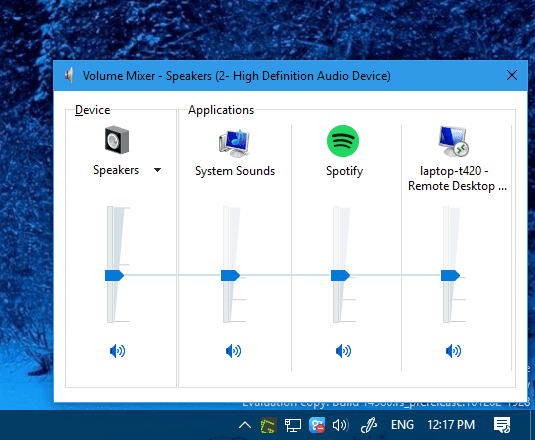 Once done, click the speaker icon in the system tray and let’s see how it looks like now. 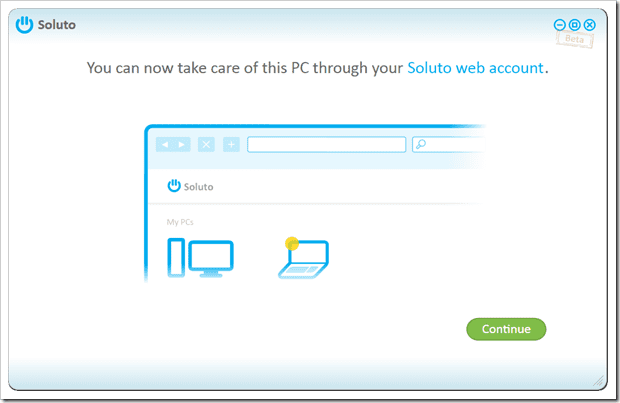 The change seems to take place right away without restarting your computer. 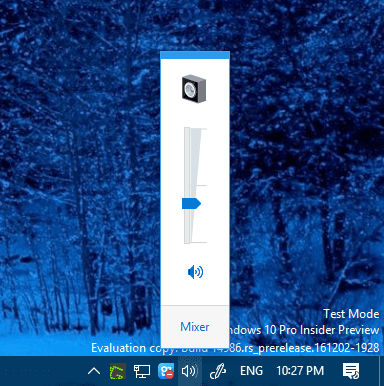 Clicking the Mixer brings back the Volume Mixer to Windows 10 as well.